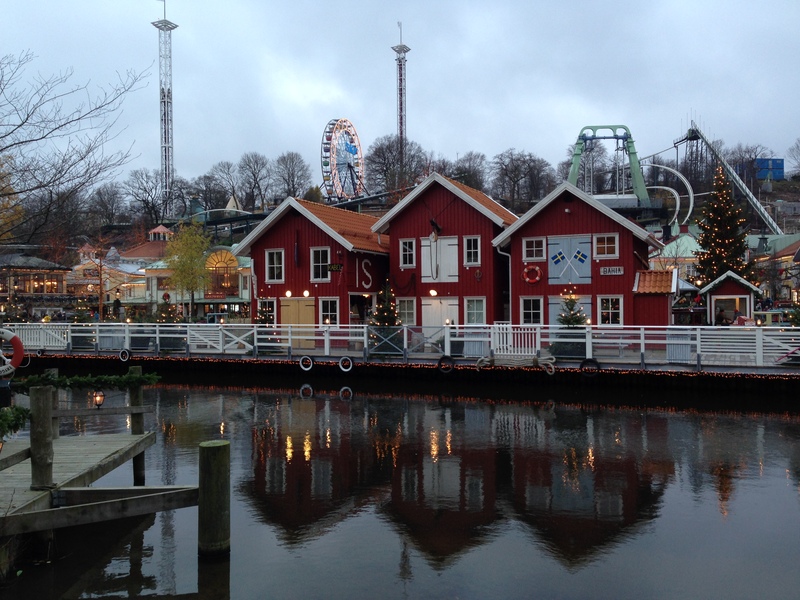 We saw a musical (The Addams Family), went to a museum, the botanical gardens (only the greenhouse, it was way too cold and windy to enjoy the outside garden), ate lunch with a relative, visited a Christmas market (my first of the season) and enjoyed a simply amazing Saturday dinner at a restaurant called Norda. I found the restaurant because the guy who won the Pastry Chef of the year award came from that restaurant. I need to take my hubby down to Gothenburg sometime so he can enjoy the food as well. 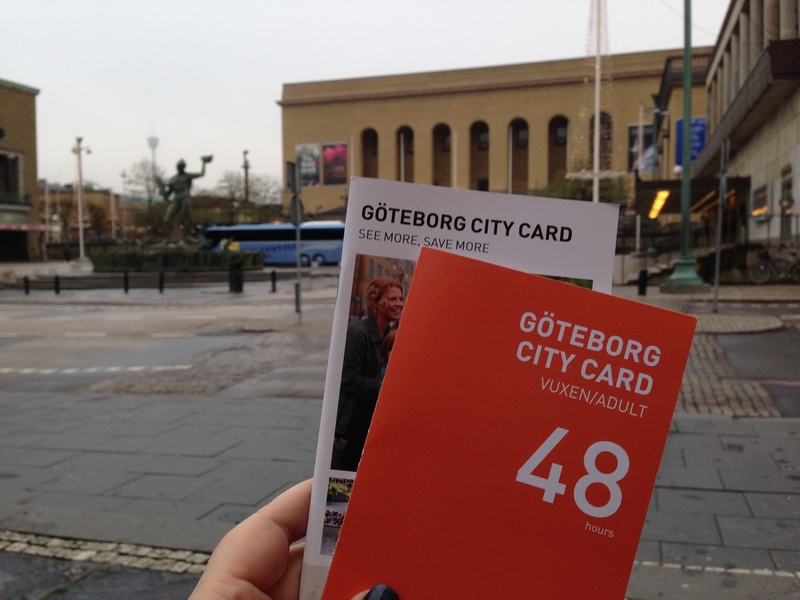 We bought a city card so we could enjoy most of the town for a good price. 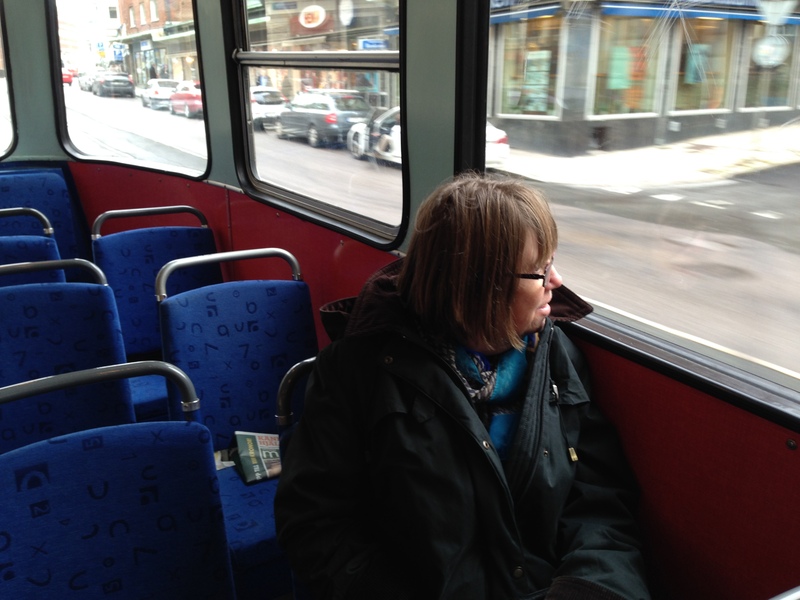 My mother enjoying the views from the streetcar. The view from our hotel room. 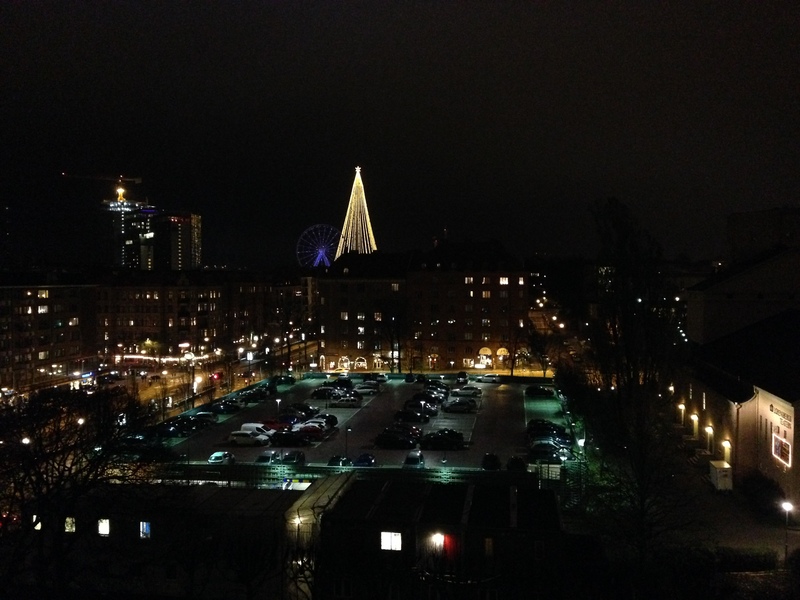 The tree lights in the distance is from the amusement park Liseberg where we went to the Christmas market. In the right bottom corner is the theater for the musical. 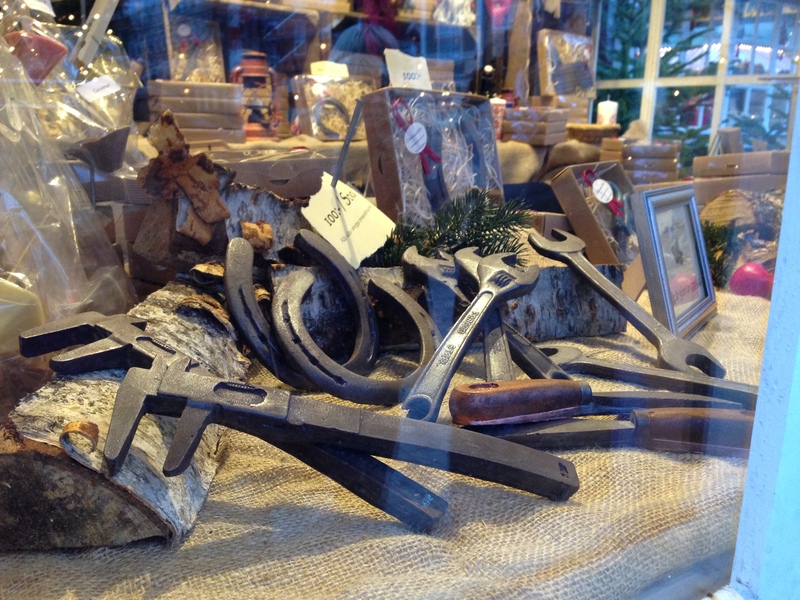 Believe it or not, but these are actually made of chocolate! 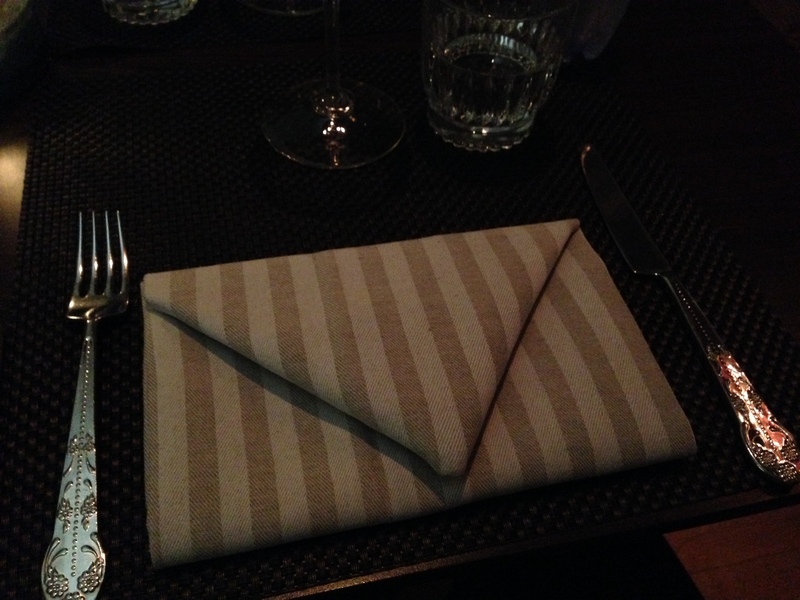 The restaurant Norda is located in a building that used to be a post office so it was a very appropriate folding of the napkin. 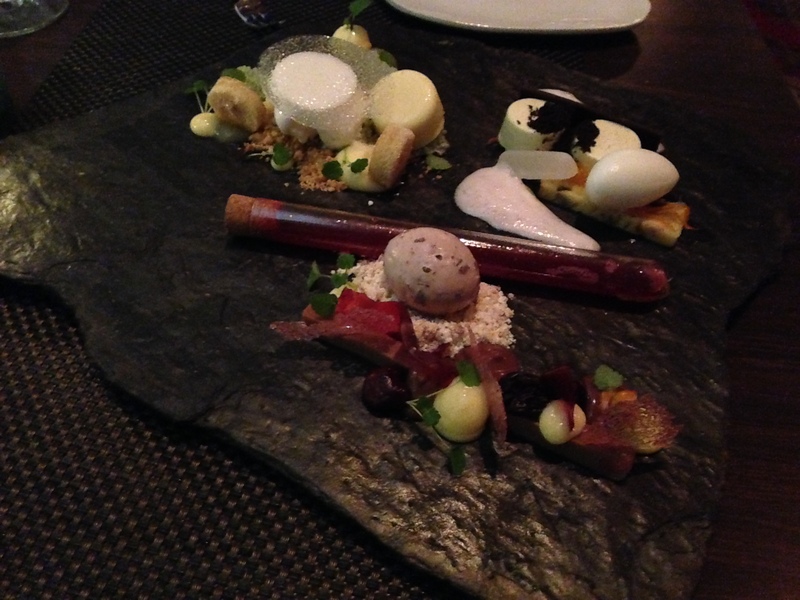 We shared a plate of their dessert tasting menu. The three desserts were based on different kinds of cocktails: an Apple mojito (top left), Cosmopolitan (top right) and Singapore Sling (bottom). They were served on a cold stone slate. Both beautiful and tasty! 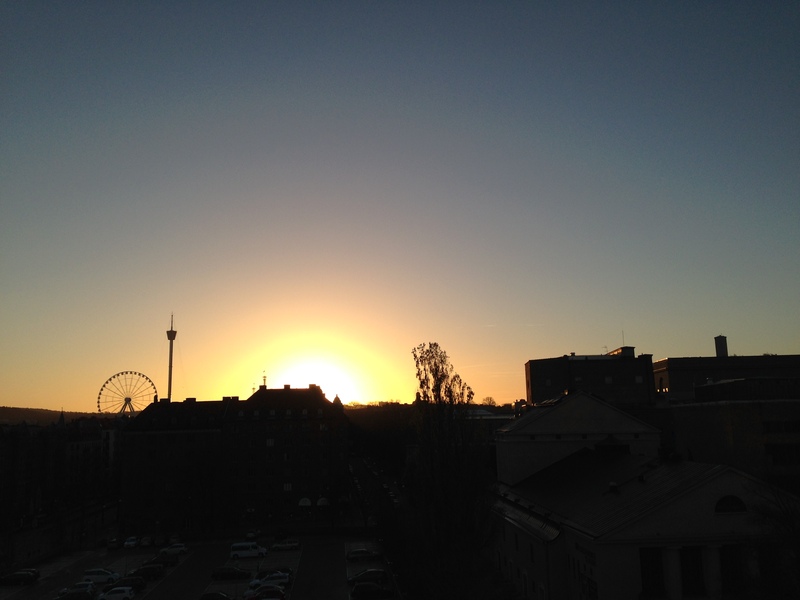 Beautiful sunrise the last morning in Gothenburg.